Cape Town - A first appearance at the Commonwealth Games in Gold Coast, playing at the Rugby World Cup Sevens in San Francisco and finishing runners at the World Rugby Women's Sevens Qualifying Tournament in Hong Kong have earned the Springbok Women's Sevens team some air miles, but unfortunately they failed to stamp their authority on the big stage as effectively as their passports were by custom officials. 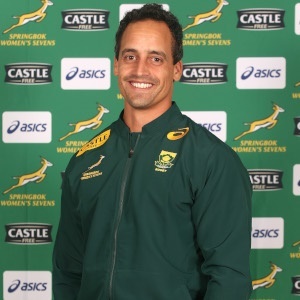 For Springbok Sevens coach, Paul Delport, the performances of his charges at the Dubai Sevens Invitational tournament on Thursday and Friday will be a change in direction, rather than a step back when they take on teams from Wales, Kazakhstan and Japan on the opening day. Delport, in his first year in charge of the team, has not been shy to experiment with playing styles and personnel as he looks to find the best fit to be a competitive outfit and the Dubai trip will be more of the same. Their next objective will be qualifying for the Olympic Games in Japan in 2020 and that journey starts at The Sevens Stadium. “We lost four starting players to national fifteens duty, so this was as good a time as any to experiment a bit and see what the new players can bring,” said Delport. Delport selected six newcomers in the squad for the trip and while experienced campaigners such as Marithy Pienaar, Zenay Jordaan, Mathrin Simmers and Nadine Roos will provide valuable direction and guile, it will be the performances of the debutants that will point Delport to the future. “That is why this tournament is important for us,” said Delport of that. Delport is not chasing the gold at the end of the rainbow in Dubai and he believes their opponents will provide a stern test in in the desert. “I have a good idea where we are as a team and where we can go, hence the importance of the performances by the new players,” he said.